The wholesale distribution of the medical supply industry has been a growth industry in recent years, and the trend is predicted to continue at a rate of 6.5 percent due to an aging population and developments of new technologies. Medical supplies span a wide array of products ranging from surgical, medical, and hospital instruments and equipment to orthopedic and prosthetic supplies to disposable medical products. Certain sectors like special medical equipment and pharmaceuticals have tight FDA and government regulations regarding manufacturing and distribution. However these regulations do not apply to disposable products such as swabs and bandages. This deregulation of medical supplies in high demand has contributed to the growth of the medical supply industry; market entry is easy for new distributors. For items without strict regulation, there is less risk that distributors will incur unrecoverable sunk costs when purchasing disposable supplies for distribution. However, the medical supply industry faces significant challenges. The trend in treatment is towards outpatient care, meaning that the medical supply industry is becoming geared towards supplying products for use in the home rather than hospitals. The Affordable Care Act (ACA) has played a significant role in the development of new treatment techniques with a trend towards lean, smart care driven by information systems. It has also driven down the cost per unit of medical items. For medical supply distributors, the aims of the ACA define the challenge: the legislation aims to ensure that everyone is entitled to affordable medical care of an increasingly high quality. Distributors are facing increasingly narrow profit margins, and a demand for products of increasing quality and lower cost. Distributors also no longer have the luxury of supplying direct to hospitals. Rather, distributors are now faced with harnessing the database-driven market to find openings and opportunities for the distribution of medical supply solutions. They must become leaner, more efficient, more agile and IT driven in order to identify and capitalize on opportunities. The lack of tight regulation over the supply of disposable medical equipment may aid entry to the market, but it still remains difficult for new players to gain a foothold. The medical supply industry is highly concentrated, with the largest 50 companies cornering around 75 percent of the market. This is exacerbated by the climate of high profile aggressive takeovers; to ensure they retain market share, the larger organizations use their scale to take over smaller companies along with their customer bases and products. This saves research and development costs when planning entry to new markets. However, it can frustrate the efforts of smaller organizations to build a sustainable business model. As with many business challenges, the solution lies within the problem. For new companies, the trend towards a database-driven market allows smaller operations to identify and exploit niche markets to create a strong brand identity and diversify away from the most saturated and competitive markets. Even for smaller companies, the technology exists to identify less-exploited industry verticals and develop innovative products that provide a solution to unique medical problems. For smaller organizations, their size will enable them to be agile and exploit new points of sale away from the traditional delivery point of hospitals. There are also IT products available to enable them to make their supply chain efficient, reduce costs, offer discounts and build strong brand loyalty within their customer base. This lessens the threats of mergers and acquisitions. The knowledge of niche markets will be difficult for larger organizations to replicate, making the prospect of takeovers less attractive. Without knowledge of an industry, entry through acquisition will be counter-productive – leaving small- to mid-sized businesses open to take the lead in these niche corners of the medical supply industry. While distributing medical supplies for health care, it is important for wholesalers to be aware of their own warehouse’s health! 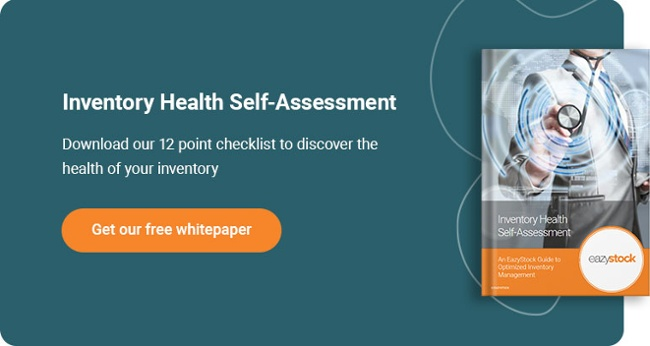 Click the link below to access the Inventory Health Self-Assessment and take stock of your warehouse. Find out where you can make changes to improve your inventory balance and save money.